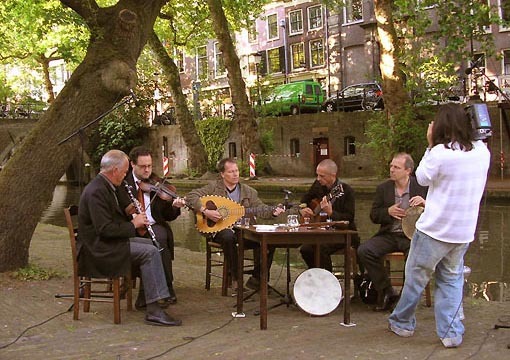 Ano Kato is a Greek orchestra and music institute in the Netherlands. Ano Kato stages concerts and performances. 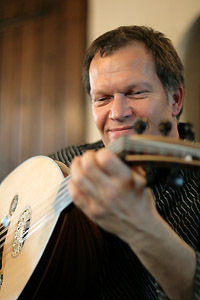 Ano Kato provides in music workshops and lessons on musical instruments with the intention of introducing Greek music and improvisation to the Netherlands, and to spread around and propagate this music. Here you can find everything you want to know about Ano Kato and about the workshops. Pictures and soundtracks will give you a fairly good impression of everything Ano Kato has to offer. You can find soundtracks wherever you see the icon pictured below. Ano Kato means ‘upside down’. 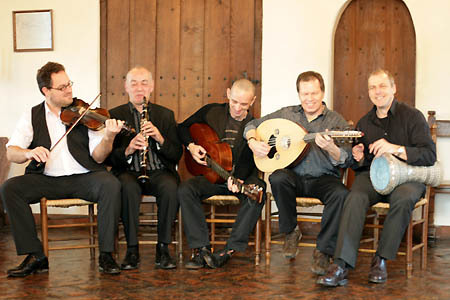 Ano Kato is a kompania, a group of musicians playing different styles of Greek music. They do this with verve and enthusiasm, giving the music its own personality but without corrupting the authenticity of the music. All music is performed on authentic instruments. The music of Ano Kato originates both in rural and urban areas. 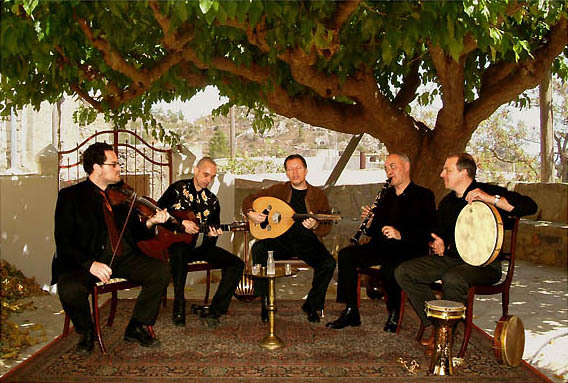 It is the ancient music of the people and is part of the impressive treasure of traditional music Greece is so well-known for.Ano Kato plays dhimotiká and the rebetiká which are rooted in Asia Minor. 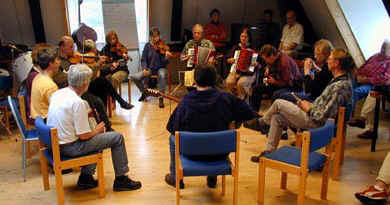 Laïká and éndechna tragoúdia are modern versions, originating from the traditional folk-music. You can hear laïká everywhere in Greece: in taverns, on the radio, in busses, and in almost every Greek restaurant as well. And Ano Kato is playing éndechna tragoúdia, so-called ‘songs of art’ (from composers such as Mikis Theodorakis and Manos Hatzidakis who have gained world fame by their many great pieces of music). The group uses a small amplification. Larger amplification has to be provided by the commissioner (if needed). According to the wishes and the situation, Ano Kato plays with 2 up to 5 band members, either as background music or as the main attraction. Prices depend on the size of the group, traveling distance and frequency of performances. Travel expenses and taxes are not included.